When you place an order before 5 PM, your shipment will be sent out on the same day. It normally takes only 1 day for your shipment to arrive. The delivery company delivers shipments every afternoon and evening. You can check the exact time slot for your delivery via the track & trace link included in the order confirmation we send you via e-mail. Please keep in mind that the delivery of our shipments requires a signed receipt. Should you not be at home for delivery, a neighbour can accept your package for you provided that he/she signs for the receipt of the shipment. You can find out more about our terms of delivery here. Orders above 100 Euro's are free of shipping and return costs. If you want to order something under 100 Euro, we will charge 4,95 euro for shipment. Yes, we do. At this point, it is possible to place orders at our online shop within 24 countries in Europe and the United States of America. Do you have questions? Please do not hesitate to get in touch with us via webshop@florisvanbommel.com. The size I would like to order is sold out. Will this size be available again soon? Sometimes yes, sometimes no, depending on the respective item. We re-stock several times per week, but unfortunately it happens that your size is not in stock but scheduled for reproduction, meaning it can take a couple of weeks until the item is available again. To know if and when a particular item will be available again soon we recommend to call us or send us an email so that we can assist you personally. What are discount codes and how do I get them? At this moment we do not have discount codes. Will I be charged for returning items? No, returning an item is always free of charge. However, please follow the instructions on how to return an item. Find out more about our return policy here. Remove the address label and simply stick the return label that was enclosed in your order on the original packaging (if the original box is no longer usable you can also use any other cardboard box). Drop off your package at the nearest Bpost service point. You can find an overview of all points here. Can I also return my order at one of the Floris van Bommel brand stores? Yes, of course. However, please note that there are stores that sell Floris van Bommel shoes but these are not necessarily owned and operated by us. Therefore, you can only return your item(s) in one of our nine official Floris van Bommel brand stores located in Bruges, Antwerp, Utrecht, Amsterdam, Bataviastad Lelystad, Düsseldorf, Hamburg, Cologne and Nuremberg. Unfortunately, it is not possible to exchange an item. When an item doesn’t fit, you can return it free of charge by using the return label enclosed in your shipment. Do you need a different size? Please place a new order. Orders placed on weekdays before 5 pm will be shipped on the same day. After receipt of your returned items, you will receive your refund within 10 working days. If you have any questions regarding refunds, please do not hesitate to contact us. In Belgium you can use the following payment methods: Paypal, credit cards (MasterCard and VISA), BanContant (Mr Cash) and Sofort Banking. We do not charge any fees when you pay with any of these payment methods. Find out more about our various payment methods here. Regardless of the payment method you use, there is a maximum limit of 6 items per order. What is the best way to take care of my purchased items? 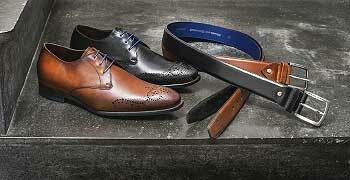 The way you need to take care of your shoes and belts depends a lot on the types of leather the items are made of. Feel free to get in touch with us to get the best care tips for your items. Please mention the article number or send us a photo of the item so that we can identify the type of leather and give you the best possible care tips. How do I make a complaint regarding a product? We offer you several contact opportunities depending on where you purchased your item(s). 5. the inside (as good as possible). Please make sure the attachment of the email including photo's can be max. 20 MB. Did you purchase your item(s) in one of our own brand stores? If so, we recommend that you come see us in our shop. Please bring with you your purchased pair of shoes or belt and your receipt or bank statement showing the transaction. 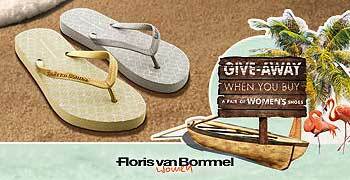 The shop where you bought your Floris van Bommel item(s) will deal with any potential warranty claims. If you have purchased your pair of shoes or belt from one of our distributors, we recommend that you take your item(s) and your receipt or bank statement showing the transaction to the corresponding shop. You cannot visit the shop? Of course, you can also get in touch with the shop where you made your purchase by phone (or via e-mail). In the case of a complaint, please get in touch with us via the contact form. You will receive a confirmation of receipt via e-mail. Complaints regarding our services will be processed within three working days. 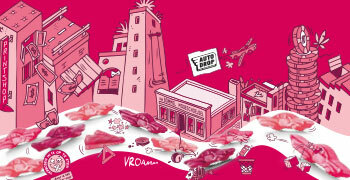 Since Floris van Bommel International belongs to the Dutch Thuiswinkel Association (an independent service that awards online shops that meet the necessary criteria with a quality certification), you have the option of filing a complaint with the dispute resolution committee of the European ODR platform (http://ec.europa.eu/consumers/odr/). What kind of warranty options does Floris van Bommel provide? Purchases made through our online shop are subject to legal guarantee. Legal guarantee means that as a customer you have the right to obtain a good quality product. This means that the product fulfils its corresponding function and meets – for a reasonable amount of time – the expectations you may rightly have of your purchased product(s). How do I determine my UK-size? Do you have any questions? You can get in touch with us on weekdays between 9 AM and 5.30 PM via +31 (0)13 51 36 940 or send an email to webshop@florisvanbommel.com. What type of shoe widths does Floris van Bommel produce? We have different widths in our collection, ranging from G and G1/2 to H.
You can find the information on shoe widths on every shoe model’s respective product detail page. You can also filter your search according to shoe width G, G ½ or H so that you only get to see certain shoe widths. All shoe models are available in one shoe width only. Should you have any further questions about sizing, you can find out more here or get in touch with us at any time. What are the possibilities for repairs? Floris van Bommel does not have an in-house repair service. However, we are happy to refer you to a shoemaker who is a member of the shoemaker guild. These shoemakers are competent and oftentimes have original Floris van Bommel materials at their disposal. Click here to find a shoemaker in your area.